Jack stumbled upon the world of marketing in 2013, shortly after graduating and has been fully immersed in the mobile app space ever since. Most recently Jack co-founded Chappy, a game-changing dating app for gay men built on the values of respect, kindness and empowerment where he is responsible for all operations, marketing and overarching company strategy. 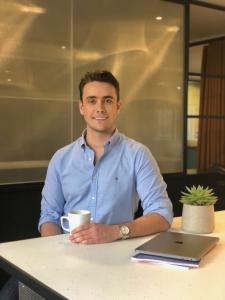 Chappy launched in March 2017 with a mission to provide gay men with a safe, welcoming and high quality platform to connect and date on their own terms, challenging the stigma so often associated with gay dating apps. Previously, Jack built his career as a growth-hacking app marketer most notably leading the UK, US and Australian launch of Happn, the dating app that today counts over 40 million users worldwide. Jack was also responsible for the creation of the Secret London media franchise during his time working at Fever, which today is one of London’s leading destinations for event discovery and local news that counts over 1 million fans on Facebook and over 1 million monthly unique visitors. Jack then held the role of Head of Marketing at TechCrunch 2017 Best Mobile Start Up Winner, Grabble which he left in September 2016 to start Chappy. Outside of tech, Jack graduated from the University of Bath with a 2:1, completed a post-graduate diploma in Russian Translation Studies in Siberia, tried his hand in private banking at Barclays in Bordeaux and even became a connoisseur of the toilet seat market during his retail graduate scheme with FTSE100 Kingfisher plc in Moscow. Jack’s hobbies include cheese (if that counts as a hobby), skiing and football.